The Institute for Competitiveness in conjunction with US Council on Competitiveness, India Council on Competitiveness, Social Progress India & Shared Value Initiative India is delighted to host Professor Michael E. Porter. During his visit to India, Professor Porter would be interacting with the government dignitaries, CEO’s, business leaders and thinkers. The interactions on both the days start at 8:00 AM with registration followed by an exciting day punctuated with keynotes and panel discussions. The events would be attended by CXO’s, industry leaders, social influencers, thinkers, academicians and senior executives from corporates. Indian businesses are going through some exciting phases. Competition and opportunities for growth are exceptional across different set of industries thus making strategy the key to any firm’s success. In such times, revisiting the ideas of strategy and competitiveness from leading thinkers in the field can give businesses a new life. Michael Porter, founder of modern strategy field, will be in India on the 24th and 25th of May to share his insights about strategy, competitiveness, shared value and social progress. His views and ideas are becoming ever more relevant for India as its economy matures and tries to establish itself on the world stage. Professor Porter will deliver two keynotes on May 24, 2017, at Taj Mahal Palace, Colaba, Mumbai. Professor Michael Porter is a pioneer in utilizing economic theory to develop a more rigorous understanding of industry competition. He has brought economic theory and strategy concepts to bear on many challenging problems facing corporations, economies, and societies, including market competition, company strategy, economic development, the environment, and health care. In his keynote, Professor Porter will revisit his ideas on strategy and how they can be used to solve and tackle business issues. Among other things, he will also share his views on competition, competition analysis, value chains, the issue of choices and business trade-offs et al. Professor Porter strongly believes that capitalism has the power to create scalable and sustainable solutions to the social and environmental challenges around the globe. He holds the view that the next transformation of business thinking lies in the principle of shared value: creating economic value in a way that also creates value for society by addressing its needs and challenges. His second keynote will be centered around the idea of creating shared value and how Indian businesses can scale the idea as a new way of achieving economic successes by doing social good and moving beyond the concept of CSR. Professor Porter would also be presenting the #PorterPrize awards to the enterprises that have shown exemplary performance in strategic management practices. Porter Prize is in its sixth cohort and, in the past, has been awarded to companies like Godrej, HUL, Reliance Foundation, Mahindra Lifespaces, Sealed Air et al. In this keynote, Michael Porter will highlight insights from his work on economic development and competitiveness, focused on the microeconomic underpinnings of national and regional economic development. Through these learnings and those derived from his work on global competitiveness, Professor Porter will discuss ideas around improving Indian competitiveness to catapult its economy into a higher growth trajectory. He will also highlight the role that economic “clusters” play in bringing about regional growth. Cluster development can be an important driver of economic policy and can be used effectively to reduce the costs of doing business, thus enhance competitiveness in today’s increasingly complex, knowledge-based, and dynamic economy. A better understanding of competitiveness and clusters becomes all the more important in the Indian context given that the country is pushing for higher manufacturing with initiatives like “Make in India.” Identification of clusters and the opportunities and challenges they present will also help firms make informed business decisions. In his second keynote, Professor Porter will stress on the idea of moving beyond GDP and evaluating progress based on social outcomes. He believes that societal needs, not just conventional economic needs, define markets and that social ills can create internal costs for firms themselves, and therefore for the economy as a whole. The theme becomes all the more important in the Indian context, as the idea of inclusive growth is gaining currency across policy circles. The two events are open for registrations. Interested enterprises and leaders can register at http://competitiveness.in/event/porter-prize-2017/ for the event in Mumbai and at http://www.competitiveness.in/events/incf2017 for the interaction in Delhi. 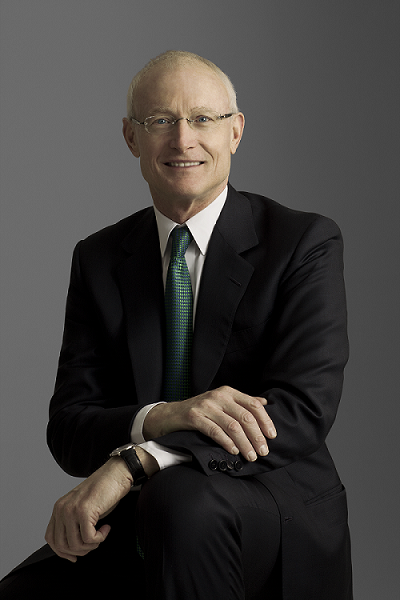 Michael Porter is an economist, researcher, author, advisor, speaker, and teacher. Throughout his career at Harvard Business School, he has brought economic theory and strategy concepts to bear on many of the most challenging problems facing corporations, economies, and societies, including market competition and company strategy, economic development, the environment, and health care. His extensive research is widely recognized in governments, corporations, NGOs, and academic circles around the globe. His research has received numerous awards, and he is the most cited scholar today in economics and business. While Dr. Porter is, at the core, a scholar, his work has also achieved remarkable acceptance by practitioners across multiple fields. Michael Porter has taught generations of students at Harvard Business School and across the entire University, as well as business, government, and health care leaders from around the world. Michael Porter is the author of nineteen books including Competitive Strategy, Competitive Advantage, Competitive Advantage of Nations, On Competition, and Redefining Health Care, as well as over 125 articles. He has won many scholarly awards and honors including the Adam Smith Award of the National Association of Business Economists, the John Kenneth Galbraith Medal, the David A. Wells Prize in Economics from Harvard, and the Academy of Management’s highest award for scholarly contributions to management. He is also an unprecedented seven-time winner of the McKinsey Award for the best Harvard Business Review article of the year. Professor Porter is the recipient of twenty-two honorary doctorates and several national and state honors. He received the first-ever Lifetime Achievement Award from the U.S. Department of Commerce for his contribution to economic development and has been elected an Honorary Fellow of the Royal Society of Edinburgh and other honorary societies. In 2000, he was named a University Professor by Harvard University, the highest recognition that can be awarded to a Harvard, faculty member. Institute for Competitiveness, India is an independent, international initiative centered in India, dedicated to enlarging and disseminating the body of research and knowledge on competition and strategy, pioneered over the last 25 years by Professor M.E. Porter of the Institute for Strategy and Competitiveness, Harvard Business School (ISC, HBS), USA. Institute for Competitiveness, India works in affiliation with ISC, HBS, the USA to offer academic & executive courses, conduct indigenous research and provide advisory services to corporate and Government within the country. The institute studies competition and its implications for company strategy; the competitiveness of nations, regions & cities; suggests and provides solutions for social problems, Institute for Competitiveness, India brings out India City Competitiveness Report, India State Competitiveness Report, India Economic Quarterly, Journal of Competitiveness and funds academic research in the area of strategy & competitiveness.